Weld Plus offers simple, practical solutions to welding automation. Our knowledgeable and experienced staff is standing by and waiting to assist you with all your welding equipment and machinery needs! With more that 270 years of of experience in the welding industry, Weld Plus knows welding. Call us today to get the right solution for your operation. In 1991 Weld Plus was started by Jack Schroeder and Paul Rensing working out of Jack’s basement and garage. 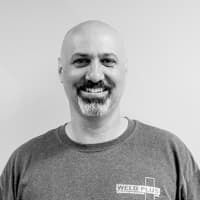 Paul is the President of Weld Plus with over 30 employees working out of a 44,000 square foot facility on the banks of the Ohio River in Cincinnati, Ohio. Previous to Weld Plus, Paul sold for a local welding distributor for 8 years and before that he owned and operated a small construction firm specializing in replacement windows. He has been in the industry since 1983. Paul attended the University of Cincinnati and is an expert in welding processes and welding automation. Paul started a rigorous training program to further develop the overall skills of the entire staff. Expanded business levels and advancement of employees via a “Promote from Within” program have kept training at a steady pace. Paul enjoys golf and attending his son’s various sporting events. 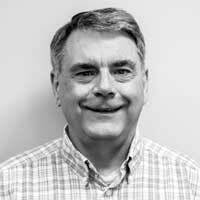 Rob began his Weld Plus career in 2013 as the Director of Information Technology. In 2014, he was promoted to Managing Director. Rob’s responsibilities included Operations, Inside Sales, Purchasing, Marketing and IT. In 2018, Rob was promoted to Vice President. Prior to Weld Plus, Rob spent 10 years as the Director of IT for an international welding, industrial and safety products wholesaler. Rob received his Bachelor of Science in Business Administration from Xavier University. He enjoys spending his free time with his wife and 3 children and is an avid golfer. Connie joined Weld Plus as Controller in September of 2016. She graduated from the University of Cincinnati with a degree in accounting. Before joining Weld Plus Connie ran her own consulting business. Prior to that she worked for a local CPA firm for ten years. Connie enjoys attending sporting events, boating and spending time with her husband and family. Doug has been in the business for over 30 years. 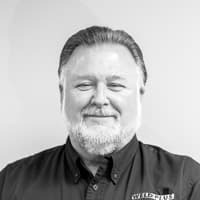 In 1980 Doug began working for a local welding distributor and then joined Weld Plus in 1994. Doug has a great ability to teach his customers the newest applications that come out on the market. Doug also has given some welding classes to the Weld Plus staff. He is our expert in Sub-Arc, cold and hot wire TIG welding and pulse MIG welding. Doug’s hobbies include boating, rappelling, scuba diving and camping. 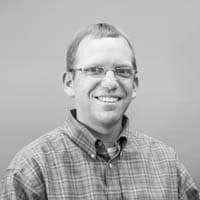 Jared joined Weld Plus in 2004 working in the warehouse. Jared learned each piece of equipment by cleaning it, sanding it and sometimes repairing it. Jared also mastered the computer entry programs and the ins and outs of shipping large equipment fast. He moved to an inside sales position and handled the bulk of internet calls. Jared joined the outside sales team at the beginning of 2007. Jared enjoys sports, camping and cars. 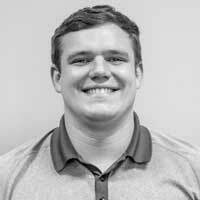 Buddy graduated from Miami University in the summer of 2014 and began working at Weld Plus in September of that year. He started sanding, grinding, and painting in the machine preparation area, then went on to learn the rest of the warehouse operations including shipping and receiving. Buddy also worked in the service department and welder repair to get affiliated with the company’s scope of work. He enjoys playing golf, attending sporting events, and spending time with friends and family. Craig joined Weld Plus as a part-time warehouse employee in 2006 while attending high school. In 2010, Craig moved into the shipping department to better his skills on meeting deadlines and customer service. Two years later Craig received his Bachelor’s Degree in Finance from the University of Cincinnati. Upon graduation, Craig transitioned to an inside sales position which he maintained for the next 6 years. Craig currently holds the position of Director of Business Operations where he focuses on sales, purchasing, rentals and day-to-day operations. In his free time, Craig enjoys spending time with his family as well as running and golfing. 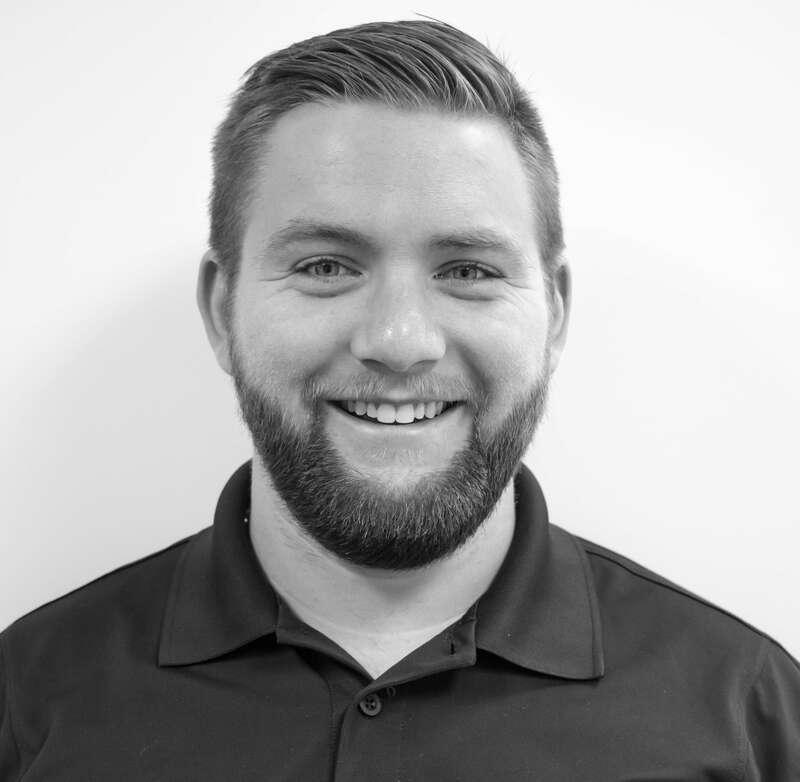 Kyle joined Weld Plus in 2015. His career began in the prep area of the warehouse where he learned the basics of various types of machinery. Kyle then moved to the Service department where he learned the detailed electrical and mechanical aspects of the machinery. He really enjoys troubleshooting and fixing large equipment. After his time in Service, Kyle became responsible for all Shipping and Receiving at Weld Plus. In 2017, Kyle moved to Inside Sales where he now manages our eBay store. In his spare time, Kyle enjoys playing cards, hiking and riding his dirt bike. 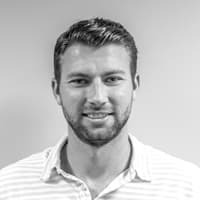 Nick graduated from Ohio University’s Business School in the summer of 2018 and was hired as part of the sales team at Weld Plus in September. He received his degree in marketing and was also part of the Ralph and Luci Shey Sales Center where he gathered valuable experience, skills and knowledge about sales. Nick had a sales internship in the summer of 2017 in the metal bar grating industry where he gained experience in customer service as well as quoting and bidding on projects. He enjoys attending sporting events, playing sports such as golf, basketball and softball and spending time with his family and friends. After attending UC in the Electro Mechanical Engineering School, Rick worked for the Engineering Department for a Hotel Management Company. He joined the welding industry in 1976 and worked in all of the following departments: warehouse management, fill plant management, counter sales, quality control, purchasing, inside sales, customer service management. Needless to say, Rick has a wealth of expertise and experience in the industry. 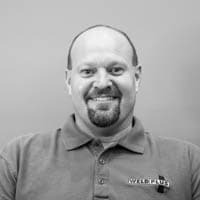 Rick joined Weld Plus in 1998 as an Inside Sales person and customer service. Rick specializes in Metallurgy, weld metal specifications and AWS specifications. Rick enjoys music, golf and gardening. Steve was hired as our driver in 1992, becoming the fourth member of the staff to join Weld Plus. Steve is now the main counter salesman and also fills in when necessary with inside sales and delivery. Previous to Weld Plus, Steve was part owner of a flooring supply distributorship and also a courier. 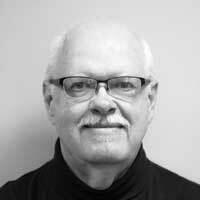 Steve attended Cincinnati Technical College and has taken sales seminar courses. Steve enjoys yard work, gardening, golf and photography. Ellen joined Weld Plus in August of 2016 with a background in facilities and project management. 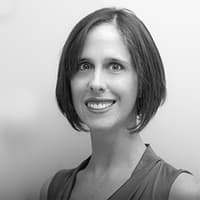 She earned her Bachelors and Masters degrees in Civil Engineering from the University of Cincinnati’s College of Engineering, Her prior experience includes 8 years managing construction projects for Procter & Gamble and Jones Lang LaSalle. She brings her skills in management and project coordination to her new role in the Weld Plus Operations Department. 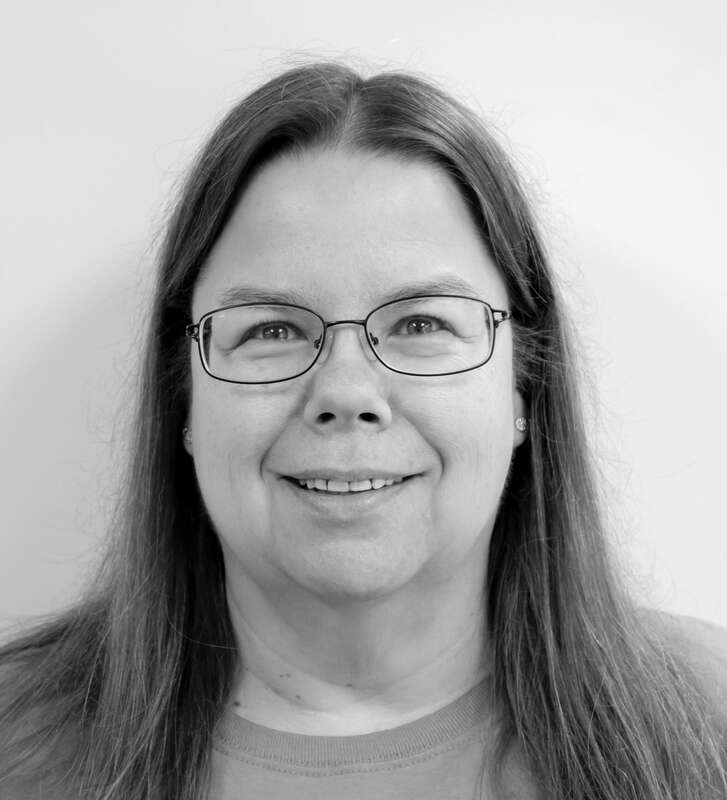 Ellen enjoys camping, hiking, and spending time with her husband and 3 children. 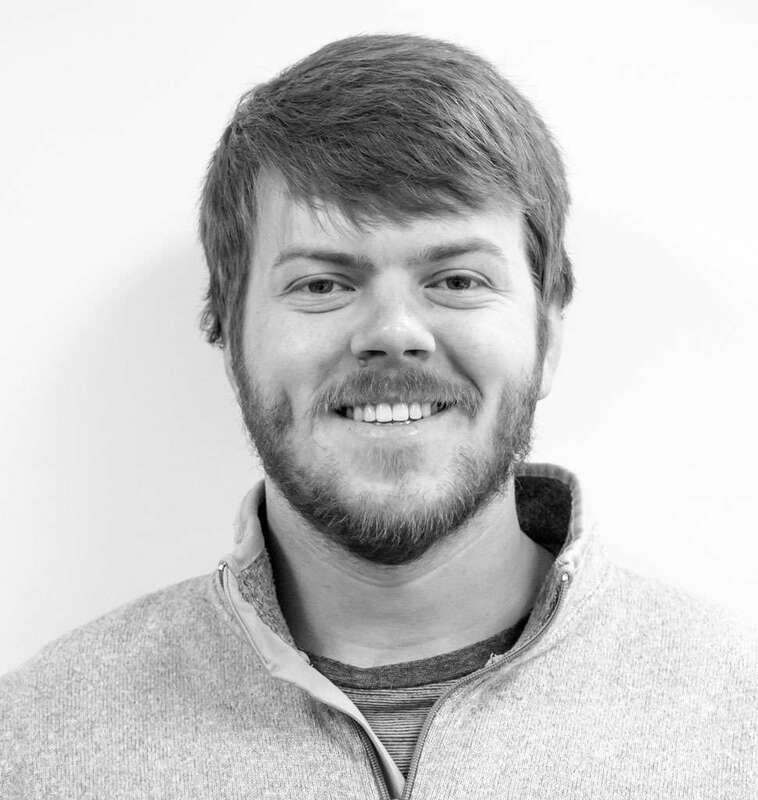 Aaron began at Weld Plus in 2015 as a cooperative education student at the University of Cincinnati. After two successful years as a student-worker he graduated with a degree in Electrical Engineering and became a full-time employee of the company. 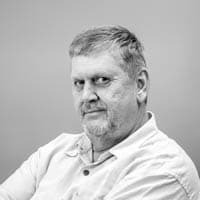 Aaron is experienced in electrical systems design and computer programming and is responsible for the development of Weld Plus’ automated controls. He brings his enthusiasm for design into his work in order to make welding automation simple and intuitive for the end-user. Outside of work, Aaron enjoys skiing, home-improvement projects, and playing the drums. 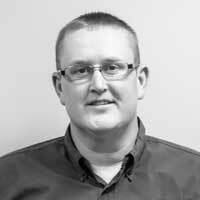 Travis started at Weld Plus in January of 2012 as an electrical technician in the service dept. Before coming to Weld Plus he was an electrician for Fluor Daniel, a global engineering construction company. Travis is currently the Lead Service Tech at Weld Plus. He enjoys spending time with his son, fishing, hunting and is an avid motorcyclist. Bob has been in the welding industry since 1977. 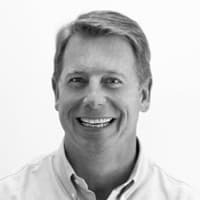 Soon after he joined Weld Plus in 1994, he was responsible for implementing the welding software system. Bob is currently our purchasing manager. He also oversees shipping, as well as helping with inside sales. He enjoys photography, golf and wildlife gardening in his spare time. 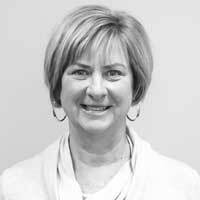 Laurie joined the accounting department of Weld Plus in October of 2016. Before joining Weld Plus, she taught Home Economics for 25 years in the Oak Hills School District. Laurie enjoys playing golf and spending time with her husband and family. Matt is a 1993 graduate of ITT Tech in Automated Manufacturing. After graduation he worked as a packaging designer at Franks Industries. Matt started as the delivery driver at Weld Plus in 2006. 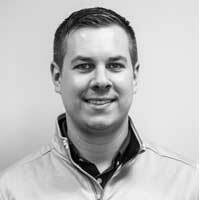 Matt documents and organizes all equipment as it enters the warehouse and is an expert at inventory management. He enjoys working on projects around his home and spending time with his grandchildren. Sharon joined Weld Plus in December of 2004. Her responsibilities at Weld Plus focus on marketing and customer/sales support. Her duties include designing marketing publications such as promotional ads and catalogs, as well as graphic design for Weld Plus’ website. 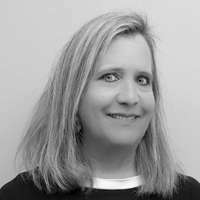 Sharon also handles billing, product photography, the intranet site for Weld Plus and a number of other administrative tasks. She is an avid Pittsburgh Steelers fan and an award-winning photographer. Sharon also enjoys camping and spending time with her family.